As a car guy, I can appreciate any newly-released automobile despite my individual tastes and opinions. I believe every car has its own style, character, and soul, and should be given a chance to win you over. Two different cars have made their way into my life this year, each with their own style, character and soul, and for curiosity's sake, we're going to dive-in and see how each of these aspects compare between the two rides. First, we have our 27Won 2017 Honda Civic Hatchback Sport trim equipped with a 6-speed manual transmission. On the other side, I have a 2018 Mazda 3 Hatchback Touring trim equipped with a 6-speed automatic transmission. Although these two cars don’t provide a perfect “apples-to-apples” comparison, the differences will make for an interesting comparison, especially for those wondering how our beloved Hondas measure up against competition. the Civic Hatchback Sport is exciting. It gives me the rush of feeling like a teenager with their first new car, as if I was 17 and my dad just gave me the keys to his coveted R34 GTR (maybe that's pushing it, but you get the idea). There’s an overwhelming urge to jump in and fast-track the chiseled 4-door to the nearest curvy canyon back road; not to return till the E light brings me back to my senses. 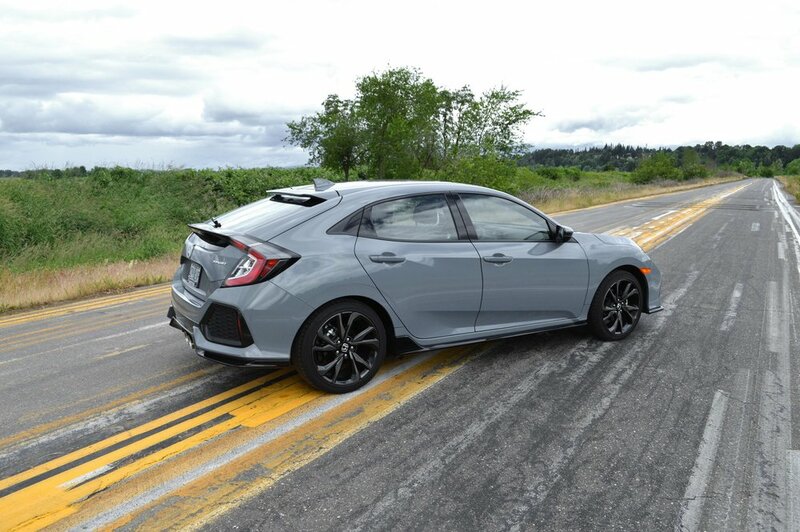 The hard lines, pronounced fenders, and smooth roofline from hood to end of the hatch tell you that the civic hatchback is here to party, but then there’s more. Bump it up to the Sport Trim to add a little attitude with the piano black finishes, grill, hatch spoiler, and matching front/rear lips and side skirts. Some of the elements, like the large front air inlets, seem more artistic than functional, however they give the car a strong presence as well as some inspiration for the visual potential should you ever want to upgrade to a more dynamic body kit. Now that I’ve had some exhilarating fun with the Civic hatch, it’s time to get a little classy and head into town for an eventful evening… with the Mazda 3. The Mazda3 gives me a different feeling than the Civic: it seems a little more mature and refined, and it makes me smile, wondering which German exotic I'll be mistaken for today. I would feel just as comfortable cruising the strip as I would the autocross at the local track. The body lines of the Mazda 3 emphasize the beauty of simplicity: long defining curves, with just a bit of a sharp edge, follow the natural shape of the hatchback from front to rear. The curves tie-in with the front and rear fenders, headlights, and the hood line providing a fluid motion style. This one definitely has a smoother look, in contrast to the Civic's sharper forms. The 3rd Gen Mazda 3 Hatchback does not immediately scream “speed”. Thankfully, if you are looking for a little more of an aggressive look, then you can opt-in for a piano black lip and side skirt kit available from Mazda. Now that we've made it past the sleek curves and fast angles, let’s take a seat inside to get a little more up-close and personal. The first impression of the Mazda3 Touring Model interior is great, to say the least. Strapping in, the black leather seat is plush and supportive with functional but conservative side bolstering. The brushed nickel style accents are purposeful and not overwhelming in the steering wheel, dash, doors, and center console, with the all-black interior broken up with chocolate/maroon leather in the door panels and center console. Lastly, the smooth and simple exterior curves are brought into the cabin from the door panels and up through the dash. Back to the Honda Civic and its more aggressive visual language. That same language carries into the interior, but in a more-imposing manner than the Mazda 3 provides. The Civic’s interior is full of sharp edges, much like the body, and some touches of brushed nickel and carbon fiber print to give it a sporty feel. The seats follow a more functional style with the sports-inspired cloth material, carbon print inlay, and conservative side bolstering. They do the job in creating a sporty look, but leave something to be desired in terms of a higher-end feel. Simply put, the Civic is designed to look fast, fun and bold. Both platforms have two engine options, both of which are a naturally-aspirated 2.0L 4-cylinder, producing around 155 hp each. Lucky for me, neither the Honda Civic nor the Mazda 3 have those lowly-base model engines. The Honda Civic Hatchback Sport comes equipped, standard, with the turbocharged 1.5L 4-cyl, putting down an impressive 180 hp and 177 lb-ft, according to Honda. Most inspiring of all is the spirited 1.5’s ability to produce the torque from a meager 2000 rpm and carry it to 5000 rpm before beginning to fall off. Pair this with the slick 6-speed manual gearbox, and a curb weight of just 2868 lb, and you have a very fun daily driver. Jumping back in the Mazda 3 Hatchback, we have the 2.5L Sky-Activ G 4-cylinder laying down 184 hp and 185 lb-ft, according to Mazda. The naturally-aspirated 2.5 provides alert throttle response and power that continues to build through the RPM range. The peppy feel of the hatchback could be improved a bit if you opted for the 6-speed manual transmission, unfortunately the automatic takes away from the responsiveness a bit. With similar power, the Mazda Hatchback comes in with a curb weight of 3098 lb for the AT, and 3046 lb for the MT – each a bit heavier than the Civic. 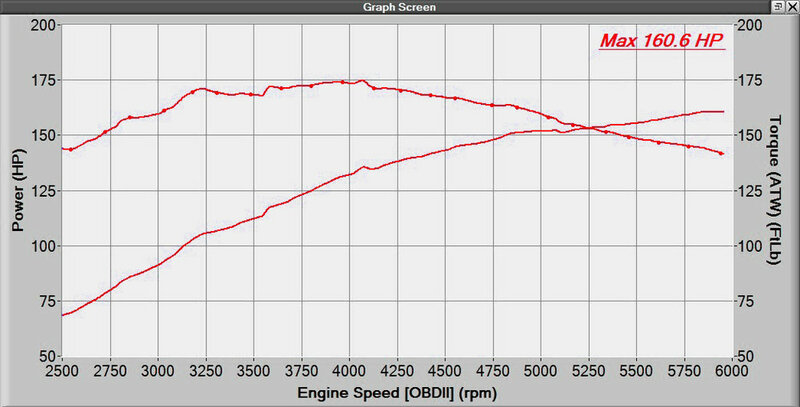 Honda’s claimed crank horsepower and torque match our measured wheel horsepower and torque. Does this mean Honda sandbagged their numbers? I can neither confirm nor deny, but we are not the only ones to see this in testing. The Mazda 3 dynograph shows a more typical drop in power and torque to the wheels, as the drivetrain does have some parasitic losses that rob power. A curious observation, but let's see how those numbers translate to the road when you're behind the wheel. We've spend enough time on the style and looks, let's finally admit that we're itching to dive into how do these automobiles drive. Looking at the chassis and suspension, both the Civic and Mazda3 have a 106.3 in wheelbase, 18 in alloy wheels, MacPherson struts up front and multi-link suspension for the rear. Other than the curb weight, we have two very similar vehicles. However, we really start to see differences in the driving experience. Driving the Mazda 3 again inspires confidence with it’s tidy and playful response to steering inputs, however the steering feels a bit heavier than that of the Civic. The steering provides a bit more feedback and a desired amount of effort; it reminds you that you are driving a full size car instead of a go-kart. The Mazda3 really comes alive through the corners, and you begin to understand why the ride quality has just a bit of stiffness for a daily commuter. The “3” dives into corners with great steadiness, then plants and pulls through the apex. However, the extra 230 lb can be felt, as the car just feels like it’s trying to move more weight around vs the Civic. For the daily routine, the Mazda 3 hatchback is a joy to drive through the city or on road trips. The slightly-stiff suspension reminds you that the Mazda is willing at any moment to kick it down a gear and have fun, but is still refined enough to sit back and relax. 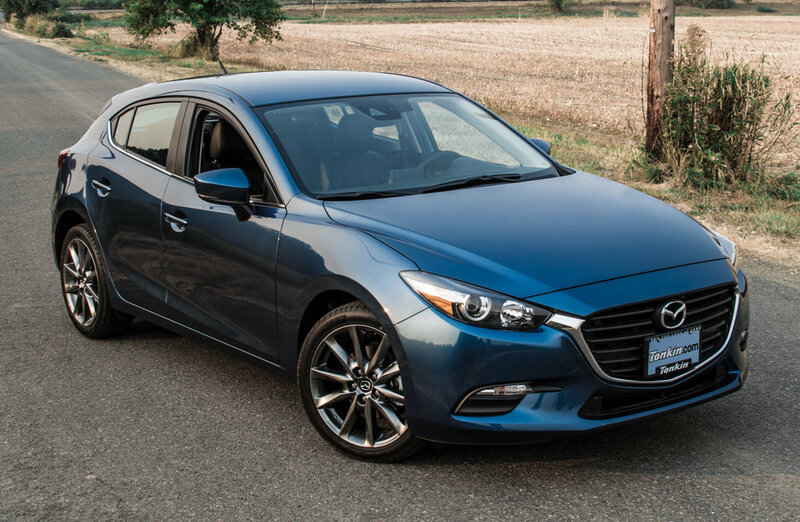 The only criticism I can really comment on is that it feels like the Mazda 3 is really trying to be a “jack of all trades”, unlike the Civic Hatchback Sport. Perhaps, if Mazda brought back the Mazdaspeed or equivalent to the lineup, they would be able to offer more specific performance setups for customers to truly choose what they want, leaving the base Mazda 3 to be a little softer. Now, how does the Civic hatch stack up against the Mazda 3 hatch? Unlike the broader Mazda 3, this car feels more specialized. Tossing the Hatchback Sport around corners feels almost effortless; the 5-door is nimble on its feet and eager to respond to every input. The steering is light, bordering on almost numb feeling, but does not show any sign of wandering with inputs. The chassis likes to move around, whether diving into a corner or with body roll through a corner. Despite the moving body, the Civic is consistent and confidence-inspiring. It wants you to rip around low-speed corners with a smile on your face. Daily driving the Hatchback Sport is also a pleasurable experience; the suspension is not too harsh, perhaps more on the soft side, providing an easy and no-jarring cruise along the interstate. Looking at the lineup Honda has for the Civic, this makes sense. 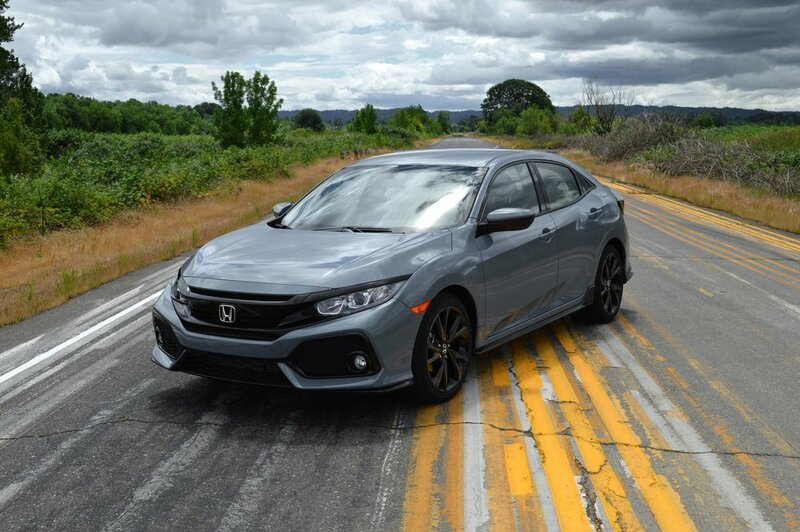 The Sport Hatchback stays under the “sport” level of the Civic SI, and if you really want a canyon and track toy, you opt for the Civic Type-R. I do have one major complaint about this model: the clutch engagement is really… disappointing. Tighten this up, and provide a bit more feedback and you can have a real winner. Returning back to my earlier sentiment: every car has a style, character, and soul that should be given a chance to be appreciated by any gearhead. Both the Honda Civic and the Mazda 3 have loads of each and love to show it. When faced with the decision to choose between the two, it’s a difficult choice. I’m a performance-oriented car guy and I love the fact that the Honda now has a turbo engine in the line-up, so that’s a huge selling factor for me, as well as the boy-racer in me who jumps to put pedal-to-floor every time I look at it. The Mazda 3 Hatch reminds me that I could have my cake and eat most of it too. The exterior is still edgy enough to keep me hooked as a speed-fiend, and the interior is just great, far above what you would expect at the $20k to $23k price point. To make a long story short, you can accomplish many of the same goals with both candidates, but in two very different ways. And let's not forget how important the brand is to you individually, since each of these cars have their own unique culture and community. So, whether it’s the platform, the trim, or the balance of style and performance, ask yourself: which one speaks to you?